https://cqrcengage.com/mssny/app/write-a-letter10&engagementId=494053. This link was created by the Medical Society of the State of New York. The enactment of A.3694-C (Chapter 455 of the Laws of 2018) is a huge victory for NYSPA and the broader mental health and substance use disorder (MH/SUD) community as it will compel insurers, health plans, and behavioral health management companies to submit key data and information to the Department of Financial Services for analysis and evaluation of compliance with the federal and state parity laws, culminating in the publication of a report posted on the Department's website. This measure will provide much needed accountability and transparency as parity laws are critical to maintaining and enhancing access to care. This victory is particularly significant for NYSPA because the bill started as a proposal from the NYSPA Committee on Legislation and was approved by the Area II Council as a proactive legislative priority. 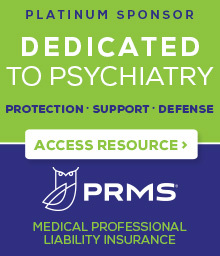 The enactment of this important law is a shared success as NYSPA partnered with twenty-five statewide organizations as well as five national organizations, including MSSNY, other medical specialty societies, organized social work and psychology as well as a broad array of consumer and provider representatives of MH/SUD services. This success would not have been possible without the tremendous grassroots support of NYSPA members and members of the partnering organizations that generated letters, calls and tweets in support of the legislation.